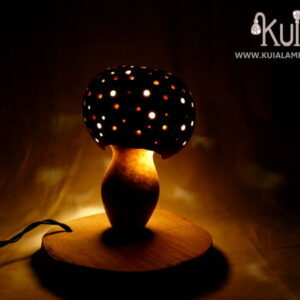 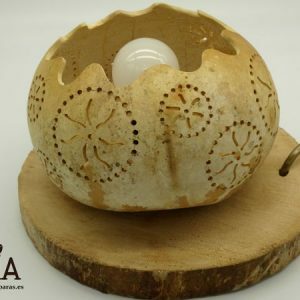 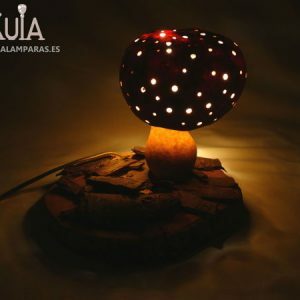 Rustic bedside lamp where only natural and ecological materials are used in its construction. 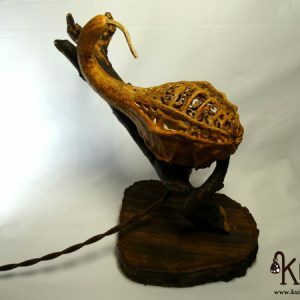 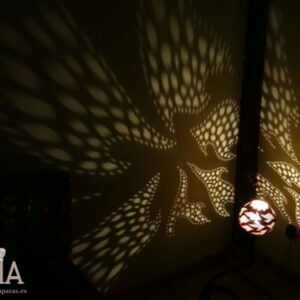 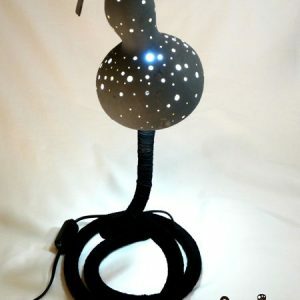 As a tulip, the gourd, carved by hand thinking of an ambient and decorative lighting. 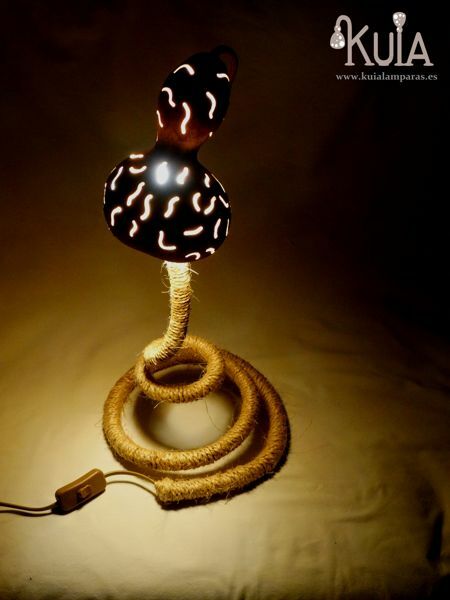 The base, made with a flexible tube lined with hemp rope, will be very useful since you can mold the base to the place where you want to put the lamp, as well as orient the light where you prefer. 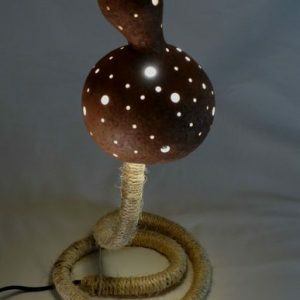 The gourd isn’t painted, the color of the gourd is natural.The light that emits this thought for a rustic place, giving a warm and pleasant illumination. 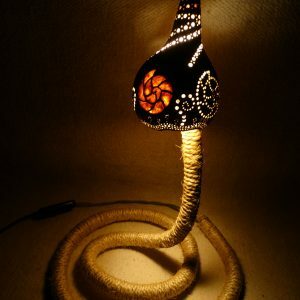 It is one of the few lamps that I continue to build so the pumpkin will be different from the one in the photo.